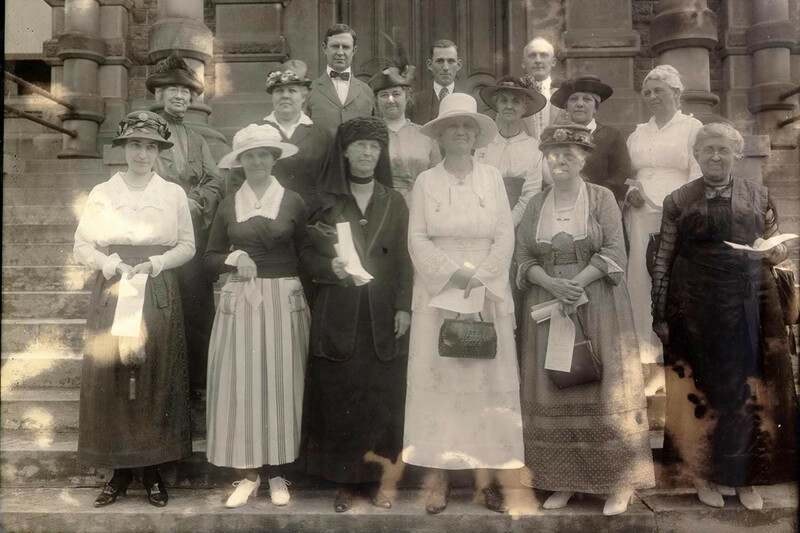 One of the first Common Pleas Court juries to be composed of women in the United States was impaneled in Erie County on August 26, 1920, the day Tennessee became the last state necessary to ratify the nineteenth amendment to the United States which provided equal suffrage for women. Judge Roy Williams was to conduct a trial on August 26 which involved Pennok Jeffries, a minor, whose automobile had been struck by a Pennsylvania Railroad car on the Tiffin Avenue tracks. Jeffries was seeking $1500 in damages. Jurors were needed, but out of the ten men called, nine could not serve. Frustrated, Judge Williams later told the women: “When I learned shortly after 10:30 this morning that suffrage had been proclaimed, I decided to impanel a jury of women. Twelve women were summoned. Twelve women served. They found in favor of the plaintiff, and each received $2.00 for serving on the jury.